I have no idea what the first Bob Dylan song I ever heard was, or what my reaction to it might have been. I’m certain it would have been something on the radio. 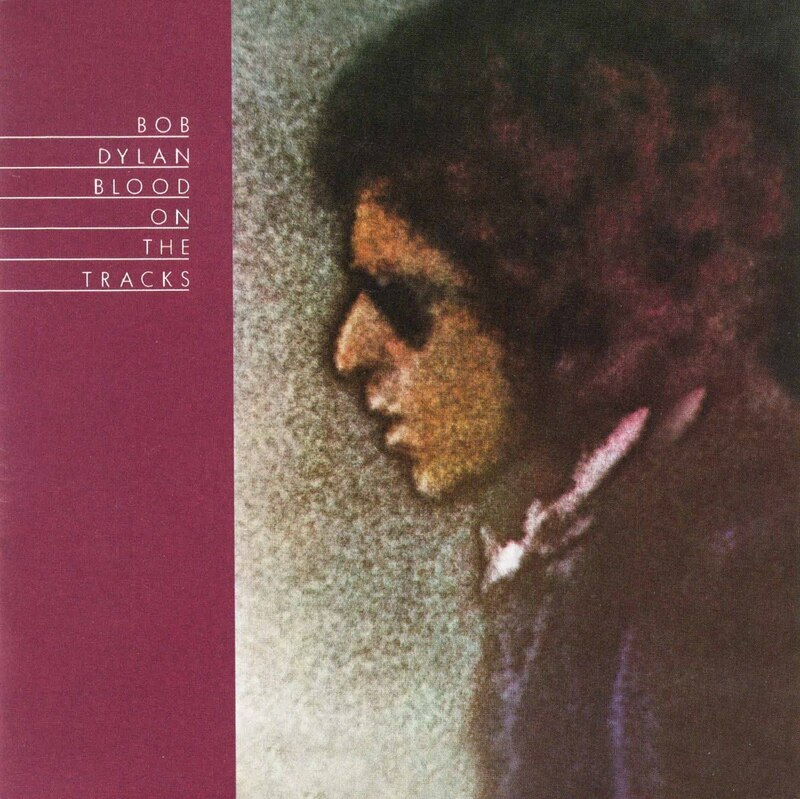 I do know what the first Dylan album that I ever listened to was: Blood on the Tracks. I can probably even guess that it would have been around 1983. My parents were not big music collectors. I can sort of count on one hand the times I remember my father bringing home music (specifically, I remember one day that he brought home albums by Charlie Pride and Freddie Fender and Loretta Lynn when I was a kid). For some reason up at our cottage in central Ontario we had a bunch of cassette tapes – like maybe twenty of them. They were on a side table that had a little shelf, and we had a little radio/tape-player combination that got rarely used (we could only get one radio station at the cottage and it was the dreadful CHAY-FM, so it wasn’t on often). Sometime around the time I was thirteen or fourteen I must have decided to play those tapes. Where did they come from? I believe, though I will have to check, but I believe that they came from the Columbia Record of the month deal. You know, buy ten for a penny, and then three more at full price. I guess this because I do think that they were all Columbia artists. This seems like something my father might have done before I was old enough to recall it. I remember four of those tapes: Kenny Rogers’s Greatest Hits. Johnny Cash Live at San Quentin. Blood, Sweat and Tears something or other. Bob Dylan Blood on the Tracks. If I’m being honest, the albums we liked best were Rogers and Cash. Further, the songs we liked were all the terrible ones (“The Gambler”, “Coward of the County”, “A Boy Named Sue”). We were kids and we had bad taste, but we would often play these when it was raining and there was nothing else to do but play cards and listen to “Lucille”. I know that the Dylan didn’t immediately take. I don’t remember listening to it that much. More than Blood, Sweat and Tears, but less than Cash (I can probably still sing “A Boy Named Sue” from memory). It was likely the next year that the Dylan started sinking in. It was probably the third summer that I realized how good the whole thing was and started buying Dylan albums myself (first one: Empire Burlesque. On cassette. Not an auspicious debut). Why did my parents own a copy of Blood on the Tracks? No idea. I know that my father has indicated to me that he never liked Dylan (he was in his 20s when “Like a Rolling Stone” hit, always more an Elvis fan than a fan of any rock stuff from the 1960s). The album was a #1 hit, so it could have just been its ubiquity when they were ordering – a tenth choice for a penny when nothing else looked that interesting. That would be my best guess. That’s the secret origin of the Dylan blog. Somehow, mysteriously, I came across Dylan’s best album at a time when I had access to about five albums and a lot of spare time. And, yes, I do think it’s his best album, even despite “Lily, Rosemary and the Jack of Hearts”. Dylan’s best album? Taking that to mean best crafted, most mature, most consistently rewarding listening experience, you’re probably right. If you wanted to show someone who had sort of heard of Dylan why he’s good, this would be the one to play. It’s hard to give it overall pride of place in a body of work that includes Bringing It All Back Home, Highway 61 Revisited, and Blonde On Blonde, though. I’m sure in a song-by-song comparison with those albums you could make your case, but it’s one thing to make a really, really good album; to change forever what popular music is and and what it can mean is something else again. I’m not sure any musician or songwriter substantially changed what they were doing after hearing Blood on the Tracks; in 1965 and 1966 you hear Dylan seeping into every musician who had any kind of artistic ambition. Blonde on Blonde (1966). Best-selling album that year: Herb Alpert & The Tijuana Brass, Whipped Cream & Other Delights. Blood on the Tracks (1975). Best-selling album that year: Elton John, Elton John’s Greatest Hits. I was approximately the same age as you, but I discovered Dylan by a totally different route. My parents did not know anything about music, and I was the oldest in the family and didn’t have any older brothers or sisters to guide my tastes. But I did have Rolling Stone, and they were constantly harping on the greatness of Dylan. So Highway 61 Revisited and Blonde on Blonde were the first Dylan albums I bought (on vinyl luckily–they could have just as easily been on 8-track). The first new Dylan album I got was Street Legal–also fairly inauspicious, but listening to it again recently, I felt maybe I had underrated it… Or maybe that was just nostalgia. 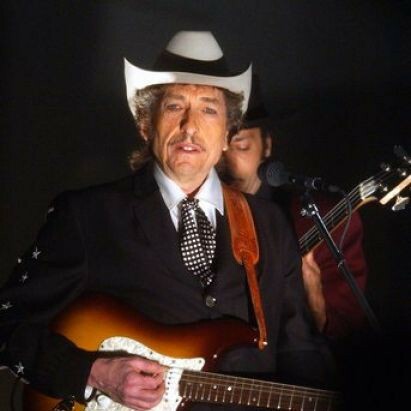 Robert, as I said in a comment somewhere below, I bought up the Dylan back catalog in short order, but the first *new* Dylan albums I bought in the store were Pat Garrett & Billy the Kid (could be worse) and the 1973 Dylan (could not be worse). I know Street Legal only by reputation, but if it has any song worth listening to twice, it’s 100 times better than Dylan.